Larry Lawrence Enterprises resembles an art deco filling station with vintage signs, gas pumps, and lighting. Displayed outside are cars for sale ranging from restored to project cars. 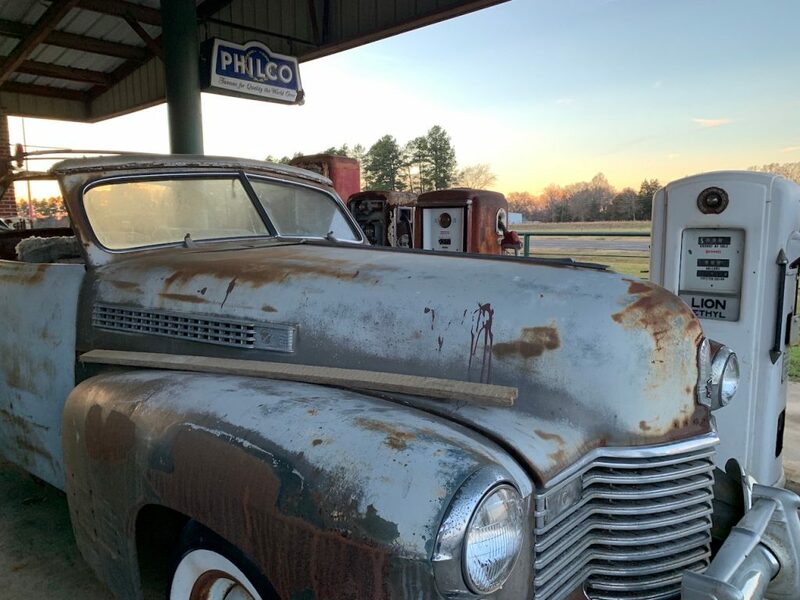 Enter the double front doors salvaged from the local International Tractor Dealership circa 1940 to a showroom which resembles a classic auto dealership display. 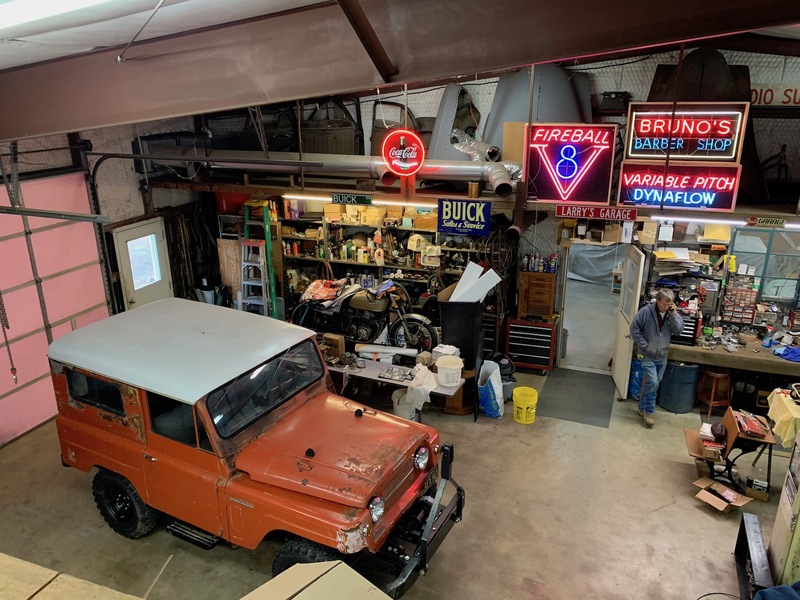 Signs, pumps and lubesters, oil cans, bottles and t-shirts are featured alongside vintage Cadillac ads and other antiques. Larry has been interested in cars and restorations for as long as he can remember. Larry grew up in Dallas, but settled in the Mt. Pleasant area of East Texas in the 80’s and has lived there ever since. Larry and his wife Zena are proud grandparents of 9 grandkids! 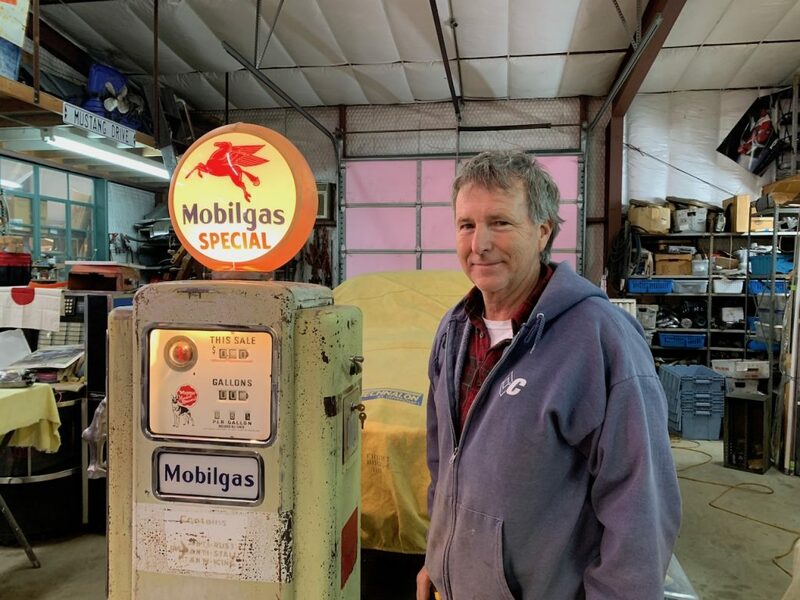 Walk-in customers can often find Larry tinkering on old project cars or busy restoring a vintage gas pump. Stop by and see Larry’s Shop for yourself!